Members of COMSODE team, Jan Gondol (Slovak Ministry of Interior) and Peter Hanečák (EEA communication solutions) gave interesting presentation about open government and open data in the context of the Open Government Partnership. Open Government Partnership (OGP) is a platform for domestic reformers committed to making their governments more open, accountable and responsive to citizens. Slovakia has been involved in Open Data activities, and is expecting to further promote Open Educational Resources, Open Access, as well as Open Source in the public sector. OpenSlava 2014 – was the conference on the current and emerging technologies within the open source ecosystem was held on 17th October in Bratislava – Slovakia. 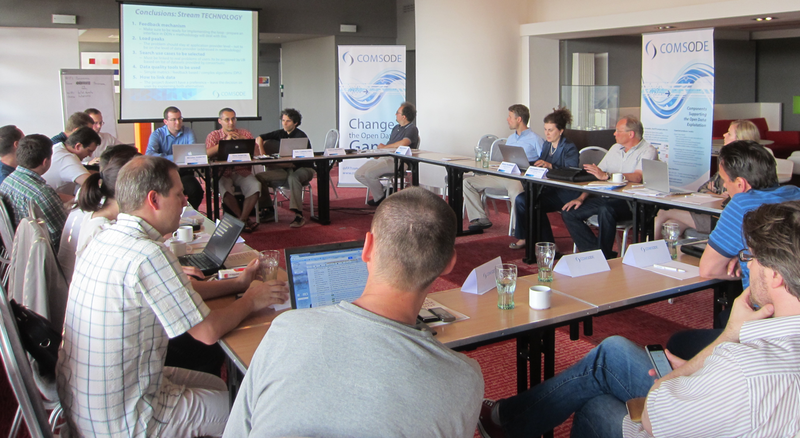 The COMSODE project User Board met for the second time on 11th June 2014 in Slovak capital Bratislava, with the aim to discuss best practice cases and collect recommendations. The User Board members from 10 European countries and variety of organisations shared with the Comsode consortium their experience from numerous European Open Data projects and national and regional initiatives. Later, there were created two workshop streams to gain focus and produce recommendations for project future work.